Digital media Giants like Google, Facebook or Twitter does not take “Do Not Track” settings seriously on web browsers, said DuckDuckGo to warn internet users. A research done by DuckDuckGo revealed that 77 percent of the U.S. adults do not even know about this fact. DNT as known as “Do Not Track” is an option on browsers that indicates web services to avoid following user’s online activities. However, these settings are just symbolic and websites are under no compulsion to respect these settings. It is just like putting a sign of “Do Not look into my House” and keeping your house’s windows open. 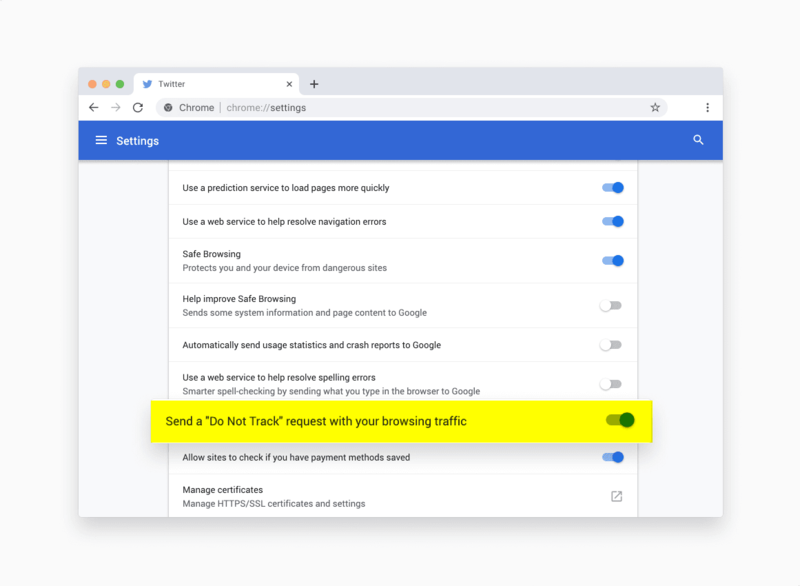 In November 2018, a survey of 503 U.S. individuals was conducted, in which 23.1 percent respondents said that they have enabled DNT settings on their desktop browsers. Out of all the people who have consciously enabled the settings, 41.4 percent did not know that these are only symbolic settings. After getting to know about its limitations, 75.5 percent demanded that all companies should respect if a user has enabled the setting. DuckDuckGo is of the view that these settings are misleading and does not provide what the name suggests. The company has decided to ask the federal government to get involved in the matter and make sure web services respect DNT setting. According to the survey, 71.9 percent of U.S. adults agree that the government should regulate it. DuckDuckGo, through this survey, has been trying to educate users about their online privacy issues. The company itself does not track user’s activities when they are using its tool. It let people use its extension and mobile app to block trackers from elsewhere also.